I did some rough math once... and I think it's possible that the "limited edition" Scura is one of the most common variants in the whole V11 series. Scura are arthropods belonging to the class Chilopoda of the subphylum Myriapoda. They are elongated metameric creatures with one pair of legs per body segment. Scura are known to be highly venomous, and often inject paralyzing venom. Ah - the rare affliction of Scuratimitus . Clinically, I understand this can make the afflicted sing at the top-of-his-lungs during gear changes on elevation changes with lean angles. Otherwise, Scuratimitus can also be diagnosed using a ratio of motorcycle lifts/jacks&stands : hammers. Scuratimitus, eh? Probably untreatable. In fact, installing a new, more trustworthy, flywheel and clutch will probably just make matters worse. I'm in remission at the moment, but I'm looking forward to my post-op recurrence. Be careful restoring that alternator cover of yours... it might look better than the adjacent parts... then you're started down the dangerous, slippery slope. Pretty sure we're all afflicted . . .
And, no, it's not *curable. * Best hope is to treat early and often with syncopated vibration, wind blast, and lean angles; routine garage sessions involving odd chemicals, obscure procedures, and shared experience may produce some "palliative resolution of cognitive dissonance." When I downshift my 02 scura sometimes doesn't engage the lower gear. If i take my time and down shift very slowly and deliberately, it seems to work fine. Are these early signs/symptoms of flywheel and clutch failure? One reason this whole flywheel issue is so anxiety-inducing is that there are no symptoms. They either fail - or are discovered to be cracking when removed - or are discovered to not have any problem when removed - or.... and here's the anxiety... they are still in the bikes and the owners have no idea what condition their flywheels are in. For the symptoms you describe, first make sure your linkage is free and well-adjusted. Also make sure you have fresh and adequate transmission oil. Then try following the steps in the shift improvement thread: replace all the springs in the pre-selector and polish the friction surfaces. As for the original flywheel - you just have to decide how long you are willing to let the dice keep rolling. I opted to take mine out at 12,000 miles and it showed no signs of damage. As Scud says, it's probably linkage related, possibly the lever hitting the pork chop. Although Rosso Mandello was single plate, I have never heard of one of these breaking flywheel in this way. RM was earlier build & I have wondered if it had different clutch parts to Scura & Tenni (possibly full RAM build, where Scura & Tenni may include parts of more dubious origin). Interesting... I have a spare part book which includes among others, Scura and Tenni (but not Rosso Mandello). For Scura and Tenni the part numbers (single plate clutch) are the same. The flywheel is the part that breaks, yes. Camn, that figures - I suspect that Scura & Tenni clutches are same, & that RM had (at least some) different components. Some parts in the Scura clutch are stamped RAM, some not. Parts differ from the RAM aftermarket clutch. Story I've heard is that Guzzi sourced some parts of the Scura clutch elsewhere. I've never seen an RM clutch, but I wonder if it is a complete RAM unit. Docc, in my parts book (date of issue 2001, covering V11 Sport & Rosso Mandello), those numbers are transposed: RM flywheel is 01 06 70 40, V11 Sport (steel) one is 04 06 70 00. Thanks for the clarification. The only part number I have for 2002 LeMans is 04 06 70 00, so obviously the steel. 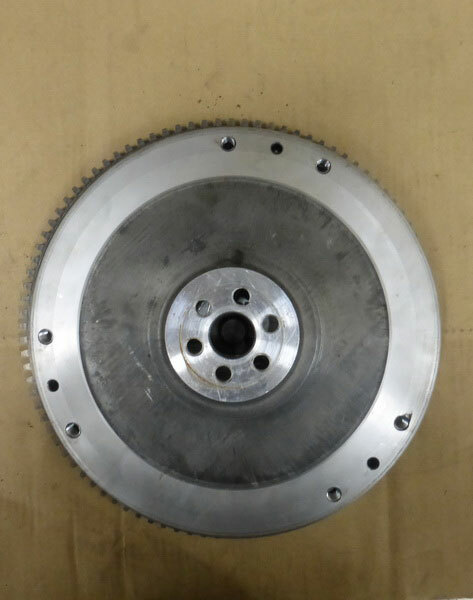 What is the part number of the Scura/Tenni flywheel? Just now I have a Rosso Mandelo clutch on my workbench, tomorrow can I post here some pictures. 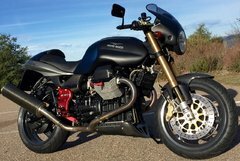 I´am looking for a new friction disc, in whole Europe is only "fan design" RAM disc available http://hmb-guzzi.de/Clutch-disc-RAM-single-disc-clutch. Have somebody experience with this part? Or source for clasicc "round design" disc? Here are some photos of single disc clutch from Rosso Mandello MY01. Mileage 42.000 km, Ergal flywheel O.K., friction plate 5,2mm (Surflex). 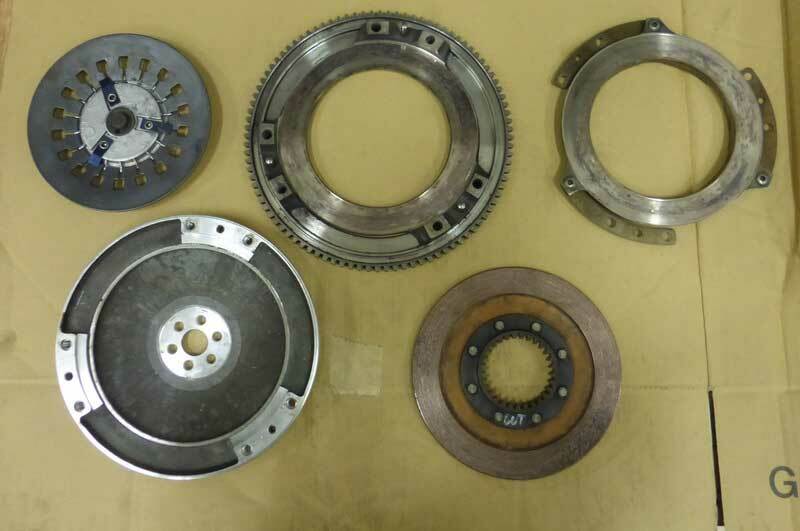 I have not had experience with that type of clutch plate with a Guzzi but I have used that type and manufacturer in other applications and I have to say for performance and longevity it will be darn hard to beat. The advantage is that they are usually a little lighter in reciprocating weight of which helps gear shifts. The wear pads can be replaced by a good clutch shop if so needed in the future thus saving money. The one part that is very different is that when they get hot they can get a bit grabby or to say they are not known to slip like the fiber discs do. I would mention to keep an eye on flywheel wear but I really do not feel that would be a concern with a Moto Guzzi. MG Cycle has clutch plates for the RAM units. They have a solid disk and a three-prong plate. My new one came with a 3-prong.